Please don't feel guilty about not attending one, we all have good intentions to do these things, then find that life has other plans for us. I hope to *see* you at a ritual sometime. When I first started with KW my intention was to be able to attend ritual, finish courses in a timely manner and well I know what happened in my life that ended up putting a lot of things on hold. I would love to attend ritual this year. I didn't even know this was on today or I would have attended instead I have to sort out why paypal stopped paying KW and try to reset it up. I would love to have the online rituals continue, please! I am traveling on 5 February, so I may be in transit during your ritual. Though I haven't been able to attend. I would love you to continue them so I can atttend! At least one. :) Thanks. I think I may be able to attend them soon. We are moving and this time it is permanent. So no more having to go to the museum on Sundays if he keeps his promise. I miss going to the rituals. I love the rituals and the chats. I will come to any you guys come up with. How funny Sapphire, we are starting something similar as well as the chat room events for people who can't make them. It will be starting in March so look out for the posters. Thankyou for replying Satanayaquo. The rituals are held on a Sunday at 7pm UK time. I don't know what time it will be in the USA, but probably around 11am I would think, depending on your area. Earthshine will hopefully know if you have any trouble working it out. Yes, I love them. Sunday isn't a bad time, I just have to remember to get to the computer at 11am, but that is mine to figure out. Esbats would be cool too. Trickier since they will hit in the middle of the week. Perhaps another kind of esbat rit could be done...one that is more a self-guided ritual that is posted and folks can go through the steps if they wish on their own time schedule. It wouldn't have the fun of the chat, but could still be a connection with the group. As I'm in the (central) USA, I may not be able to attend ones on workdays, as they might occur during my working hours. Chat rituals for Sabbats and Esbats are good. I've seen my wife (Earthshine) do them, and she enjoys them. I am interested in trying one, too. 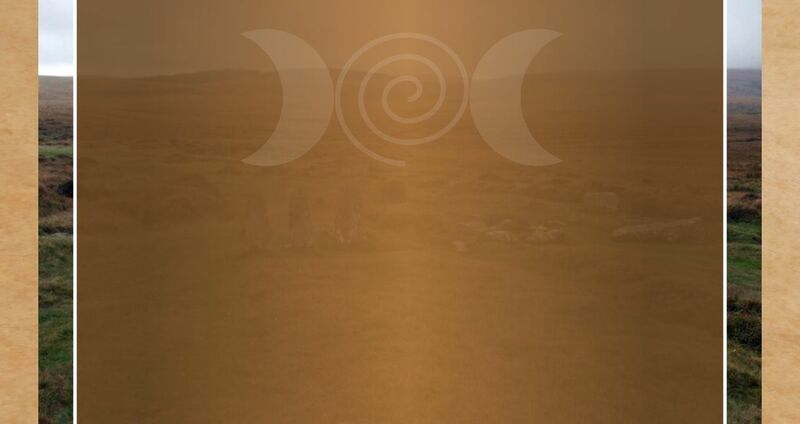 We are going to hold an Imbolc ritual in the chat room on the 5th February ( poster to come ) and we will continue with rituals throughout the year as long as students want them. If you have a minute and would like the rituals to continue, could you let us know by replying to this post. Also if you fancy doing a ritual on another subject other than a Sabbat, for example healing for a loved one or yourself, an Esbat or something else just let us know and we will do our best to come up with a ritual for you.